Annapolis natives Brea Reeves and Ben Wang have been running a successful food truck in Chincoteague Virginia called Sandy Pony Donuts. Having created a faithful fan base in Virginia they decided to return home to Annapolis and share Sandy Pony’s fun and creative donuts with their hometown. Sandy Pony Donuts offers 24 made to order custom flavored donuts, all created and dutifully taste tested by Ben, Brea, and their friends and family. Don’t forget to try the featured “Donut of the Week.” Also, the donut shop has teamed up with the award-winning Chincoteague Island Creamery to create the Pony Pile. 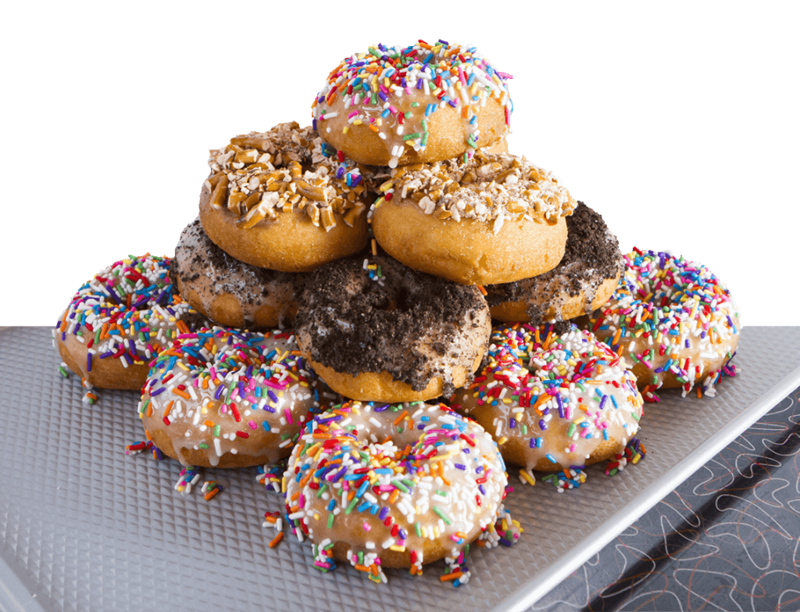 The donut shop has also teamed up with the award-winning Chincoteague Island Creamery to create the decadent Pony Pile. Are you now craving something sweet and delicious? Stop into the shop and order a dozen fresh, hot donuts, or try the featured Donut of the Week. Annapolis Fork is a great local online resource in Maryland’s historic capital of Annapolis. It was founded in 2013 and offers insightful information and reviews about local restaurants, farmer’s market and seasonal events.